Scandal In Turkey – Who Is Behind the Erdogan Leaks? In the run-up to the March 30 elections, many scandals were publicly leaked in Turkey indicating criminal activity by Mr. Erdogan, his ministers and their families. Clearly, Mr. Erdogan’s government has a serious security problem, but who could have possibly had access to so many secure communications inside Mr. Erdogan’s inner circle? And what are the methods and motive behind the leaks? 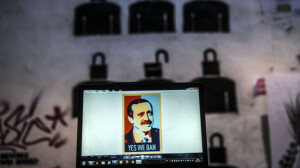 The steady stream of embarrassing scandals has led to a frantic, effort by Mr. Erdogan to quash the source of the leaks. In his panic, he appears to be playing the political equivalent of “Whack-A-Mole”, an arcade game popular throughout the world. In this game, the player is presented with 5-10 holes and a hammer. Objects pop-up randomly out of the holes and the player must hammer them back down as quickly as possible. It is never ending: the faster the player hammers the objects, the faster they pop-up from other holes, until the player gets tired and stops playing. The name of the game is particularly apt in this case because, in English, a “mole” is also an expression for a spy within an organization. Mr. Erdogan clearly has more than one mole in his inner circle, but each time he takes action to silence the source of a damaging report, another embarrassing revelation pops up somewhere else. The scandals appear in various formats, including recorded private phone conversations on YouTube, Twitter, newspaper articles citing anonymous sources and Facebook postings. Mr. Erdogan is lashing out to restrict access to Internet sites, as well as penalizing any news source that publishes such stories about him, but the scandals keep appearing. The most logical sources of these leaks are (1) secularist political opponents(2) victims of Mr. Erdogan’s military purges, (3) persecuted journalists (4) angry businessmen, (5) supporters of Mr. Erdogan’s Islamist rival Fethullah Gülen, (6) Israel, (7) Iran, (8) Russia or (9) the United States. (1) Secularist Turks have a strong motive to oppose Mr. Erdogan’sattempts to integrate Islam into Turkish politics. They see the real threat of losing the social freedoms enjoyed by Turkish citizens that were bestowed upon them when Mustafa Kemal Atatürk established the modern secular Turkish state from the ashes of the Ottoman Empire. 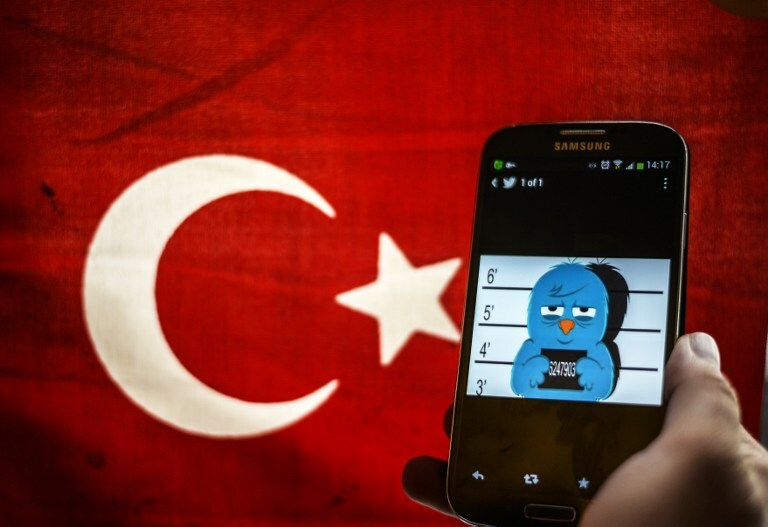 This “mole” has one key vulnerability: he or she needs others inside the Turkish government tohelpeavesdrop and record the many sensitive and private conversationsand disseminate the information without incurring suspicion. This group has motive and means but would have difficulty operating alone, without assistance from an outside player. (2) Hundreds of Turkish military officers have been imprisoned by Mr.Erdogan’s over spurious coup-plotting conspiracy charges and have strong motives to expose the corruption of top AKP officials. These officers have silent supporters within the Turkish military, Ministry of Foreign Affairs and the National Intelligence Service (known by the acronym “MIT” in Turkish). Those supporters could gain access to secure conversations, but leaking that information in the way it has been linked does not fall under usual Turkish military behavior. Like civilian “moles”, Turkish military moles would most likely need to rely on an outside power for cover in exposing scandals. (3) Many journalists and media outlets have a very strong motive to expose Mr. Erdogan’s corrupt circle but they are also especially vulnerable. Mr. Erdogan’s government routinely seeks out, harasses and slaps ruinous fines against any media personality or source who dares to print unflattering depictions of Mr. Erdogan’s AK party. Since the AK swoops in to punish those responsible at the moment a news organization reveals a scandal, it would be very difficult for any media outlet to report on more than one or two scandals without being silenced by Mr. Erdogan’s cronies. Thus, while the media has strong motives to undercut Mr. Erdogan, each outlet’s cover is blown as soon as they publish their first article, making a sustained attack impossible. (4) Turkish businessmen who see the threat posed by Mr. Erdogan’s policies to Turkish business dealings in Europe have a strong motive to drive the AK party from power. These days, it seems impossible to conduct lucrative business in Turkey without paying off AK party officials. Top businessmen also have the means to pay informants, but the risks of being detected and prosecuted by AKP-influenced courts, or beingassassinated, are so high that it seems unlikely any businessman would engage in such a dangerous game. Therefore, the business community also effectively lacks the means to undermine AK party leadership. (5) Supporters of self-exiled Islamist Fehullah Gülen have motive and means to expose scandals involving Mr. Erdogan. Gülen’s supporters helped bring Mr. Erdogan to power through Gülen’s wide group of supporters in the Turkish police and judiciary. Gülen understands how to put Mr. Erdogan in a tough political situation by linking him and his closest advisors to Iran. If Mr. Erdogan publicly rejects Iran, he creates tension for himself at a time when he needs to avoid repudiating Muslim neighbors. Gülenists have a strong motive and some means to expose such scandals involving Mr. Erdogan, but they have their own specific Islamic agenda that does not appeal to most secular Turks, the military or Westerners. (6) The State of Israel has strong motive and means to gather and publicize recordings of secret AK party meetings. Turkish-Israel military and intelligence cooperation throughout the 1990s have given Israel a clear understanding of Turkey’s intelligence sources and methods. Israel can easily secretly record secret meetings and private phone conversations of AK party members. The allegations that Mr. Erdogan’s inner circle includes agents of an Iranian terrorist group known as Tawhid Salam, put Mr. Erdogan in the awkward position of having to address the thorny issue of Iran and Shi’a Islam. The AK party views Shi’a in general as inferior Muslims. Also, these allegations come at a delicate time. as the AK party leaders plan to stage “false flag” attacks in Syria, which risks pitting Turkey against Iran due to close Syrian government links to Iran. Tensions between Iran and Turkey are a source of major concern to Mr.Erdogan and these accusations must be handled very carefully. These leaks create a major distraction for the AK party leadership and serve the Israeli foreign policy agenda on more than one level by not only undermining the AK party but also dragging Iran into the mix. (7) The Government of Iran also has a strong motive to distract Mr. Erdogan and his party. Iran is facing Turkish intervention in Syria, which poses a threat to one of Iran’s key client states. Additionally, Mr. Erdogan has publicly shown his total disdain for the Shi’a, most recently when he mocked the family of a young Shi’a boy killed by Turkish police during protests. In spite of the possible desire to see Erdogan removed from power as a motive, however, Iran would be unlikely to link the AK party to an Iranian terrorist group. Additionally, it is highly doubtful that Iran could gain the means to access private meetings and telephone conversations inside Mr. Erdogan’s cabinet. (8) The Government of Russia has motive and means to obtain secret and private information inside Turkey. Possible motives include Turkey’s interference in Syria, distracting the Turkish government from focusing on the Turkic Tatars of Crimea, concern over the AK party’s future policies regarding the Russian access to the Bosphorus and Dardanelles straits, or even simply the rise of an extremist Muslim government in a country of such geo-strategic importance. That said, Turkey is simply too weak and disorganized to pose an immediate threat to Russia, which has its own crises in the Black Sea region. It is also unlikely that Russia would want to involve itself in Turkey while dealing with the situation in Ukraine. Russia has the means to engineer this sort of operation against the AK party if it sensed an immediate threat to Russian interests, but there seem to be other well-positioned players wiling to take care of the problem for now. (9) The United States Government also has the means and motive to undermine Mr. Erdogan and his party. In terms of means, the US helped install much of the intelligence gathering equipment in Turkey and has close, longstanding ties with secular Turks who see Mr. Erdogan as a threat to NATO interests and regional stability. Additionally, the US special relationship with Israel puts the US at odds with many of Mr. Erdogan’spolicies. It would not be the first time the US government spied for Israel. Of all these possible sources, I believe that Israel, working with Turkish officials concerned over Mr. Erdogan’s Islamist dictatorial ambitions and his Syria policy, is likely to be the main culprit behind these leaks. I cannot completely rule out sporadic opportunistic involvement from the US, Russia or Fethullah Gülen, but Israel arguably has the strongest motive and impressive means to carry out a sustained operation designed to create continuing unrest and problems for the Islamist AK party.. I base this in part on discussions with serving Turkish officials. I witnessed the iron-clad security cooperation between Turkey and Israel until relatively recently, and many Turkish officials and businessmen retain discreet ties to Israel. Also, the very strange accusations linking AK party officials to an Iranian terrorist group seem beyond what the Obama administration would do in the current climate of seeking to reduce tensions with Iran. In any case, Israel is the one player with enough understanding of Turkish security systems, sufficiently trustworthy friends and informants inside the Turkish government and driving motive to conduct a sustained media attack on Turkey’s AK party government. Watching Mr. Erdogan try to hammer down each new scandal just in time to have another one pop up is almost as tiring as playing the Whack-A-Mole game in an arcade. If Mr. Erdogan does not succeed in ending this game soon, he will face increasingly severe problems with Eastern and Western allies alike, not to mention a dire domestic backlash. The trouble is that in the actual game, the only way to stop new “moles” from popping up is to unplug or destroy the game console itself. In this case, let us hope that the game console represents the AK party, not the entire Turkish government and the citizens it represents.